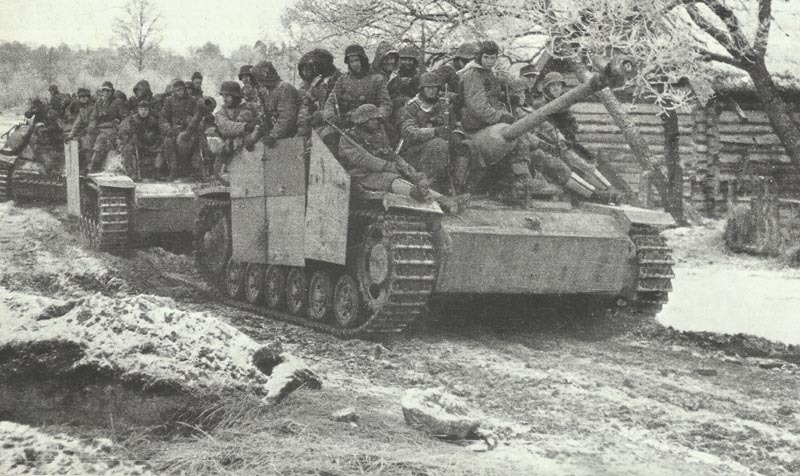 StuG III with mounted infantry during a local counterattack. Konev‘s forces reach river Oder on 64-km front. Zhukov captures Bromberg. Himmler takes personal command of ‘Army Group Vistula‘. France: Charles Maurras, editor of Royalist and anti-Semitic Action Francaise, on trial at Lyons for collabora­tion (life imprisonment, January 27). Germany: Execution of Count Helmuth von Moltke-Kreisau, leader of ‘Kreisau Circle‘ (pacifist organization).